Do I hear the sound of solder flowing? by the way, did you know that you were going to get theses #'s???? Technically, you two have different amplifiers. Oh yes, there was a round of negotiation, and while I won't go into the details of it, I will say Tony Ferraro was very gracious in making sure I got these amps. If I could have sold my 600 x 2 I probably would have had numbers 1 through 4. Regardless, I am very thankful to get 1& 2. Tony went beyond what I could have expected. Now, about this Sonos thing, I am loving it. I have Number 1 driving the Khorns and the Sonos performing DAC and preamp duties. Last night we were on the back deck watching the kids swim and having dinner. I downloaded the Sonos app to my iPhone and I could sit on the back porch and picks songs and control the volume. It was wonderful. This morning I rolled some Mullards EL84s into number 1 and noticed a nice improvement in the bass. 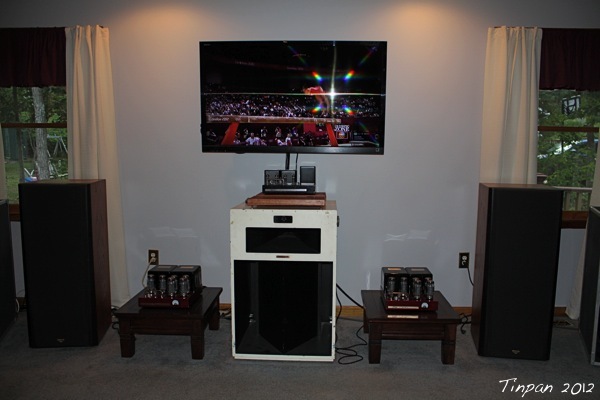 Last night I hooked up #2 to the Klipsch Epic CF-3s to see how they compared to the Cherry 260s. 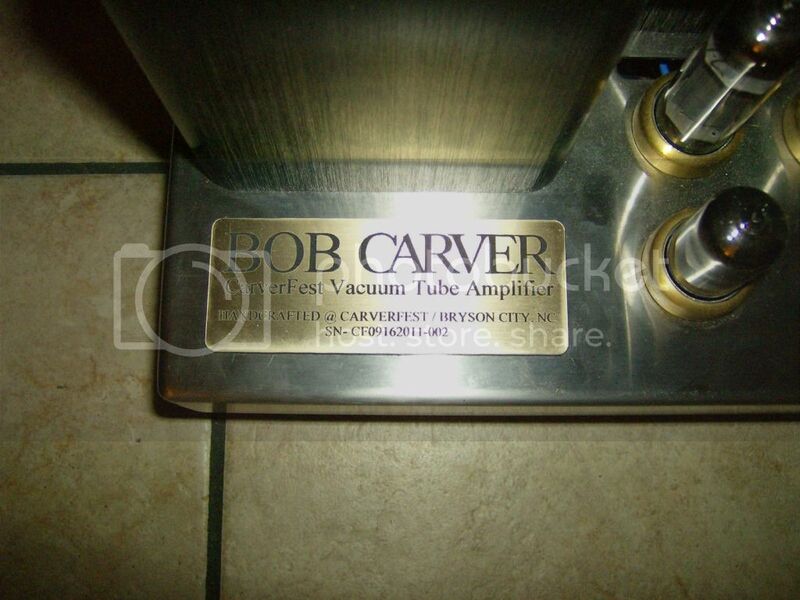 I remembered Tony had said that Bob thought these amps should all be voiced the same. This set up has an Audio Note preamp and DAC feeding the VTA20s. These speakers are pretty efficient so I wanted to see if the VTA20s could even come close to the Cherry 260s. Shockingly, they do, these speakers can throw out some bass and you can definitely feel it with the Cherry 260's. They also do with the VTA20s, the same full range of sound is there, granted the VTA20s may run out of steam on less efficient speakers, but they sound great on the CF-3s. 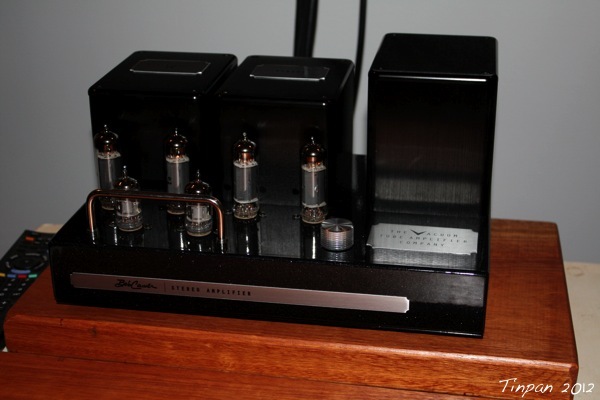 If anyone is looking for a good tube amp under $2,500 bucks, this one is hard to beat. Here's a close up of number 2. The sound is great, the finish is awesome, I can see this amp being the centerpiece of many systems out there. It's very well thought out and i think it's a great amp for beginners to start with if they are worried about the learning curve with tube amps or maintenance. It is also a great amp to keep more advanced sterophiles more than happy. 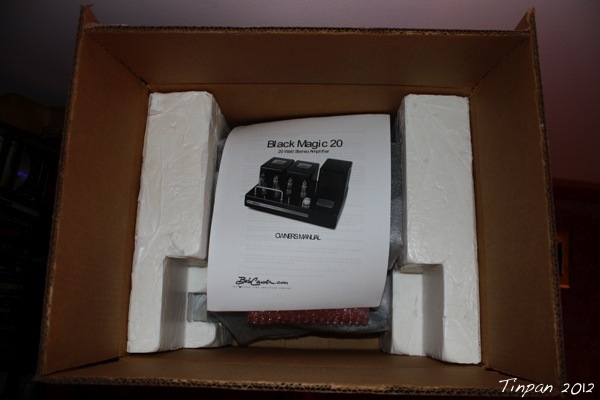 Since I am one to appreciate little details I thought I would also include a shot of the box as you unpack the system. First you are greeted with a nice short easy to read owners guide. It's right there when you open the box and you can't miss it. It even has a couple spare fuses taped to it. 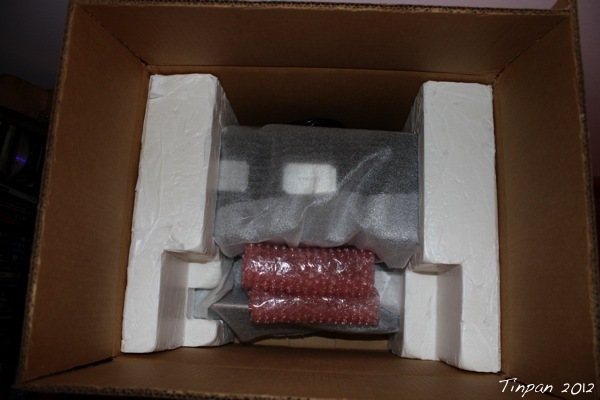 The box and insert are custom made and the tubes are wrapped in bubble wrap and taped securely to the amp so they don't roll around in the box. I've been using the Sonos in my system for a about a year and am also loving it. I have one unit feeding my stereo and the bridge connecting wireless to a Play-3 in the bathroom. I sit and soak in a hot tub with a choice of tunes from my NAS server or discover new music with Pandora. I put my Android phone in a zip lock baggie to keep it dry. That looks like a keeper Tinpan. Very nice. Thanks Tom, are you going to be selling these? I'm listening to number 2 right now on my CF-3s ...frickin' unbelievable how nice they sound. Yes I will. They will be on the site next week. Already have my demo. SteveK, my buddy has been trying to get me to move to Sonos for a year. Wish I would have listened. I still need to A?B it with my DACS for sound, but I love the convenience. I just turn my amp on, pick up the controller and hit play and it plays immediately. With my Apple music server it took two minutes to reset the Apply wireless network and watch the drive wake up. The Sonos on a NAS is boom right there. Beemers, you should sell a bunch of those amps, I know I'll be sending people to you. I had mine rolling on the CF3s last night after I put the Mullards in. Can't wait to try the Lowthers on em next. I am curious as to how they compare to the ones Gary built for you. Please let us know your thoughts. tinpan wrote: SteveK, my buddy has been trying to get me to move to Sonos for a year. Wish I would have listened. I still need to A?B it with my DACS for sound, but I love the convenience. I just turn my amp on, pick up the controller and hit play and it plays immediately. With my Apple music server it took two minutes to reset the Apply wireless network and watch the drive wake up. The Sonos on a NAS is boom right there. Have you, or your buddy, heard the Sonos with the Wyred 4 Sound modifications made to the Coax and Optical outputs?